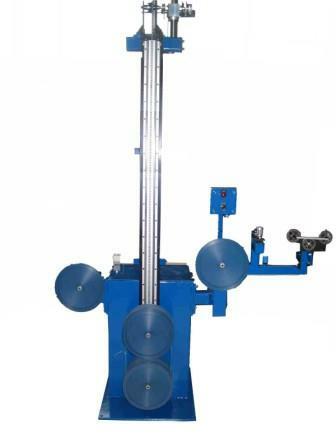 Accumulator - Cable | Tensor Machinery Ltd.
Tensor manufactures both vertical and horizontal accumulators with accumulation up to 300 meters (1000 feet) or more. The accumulators are typically multiple sheave designs and can be produced for low-tension or high-tension accumulation depending on the application. 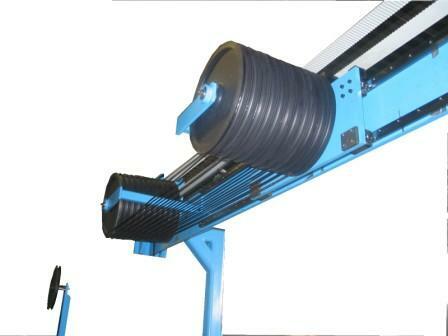 On some horizontal accumulators, swing arms are included that swing out to support any sagging cables. 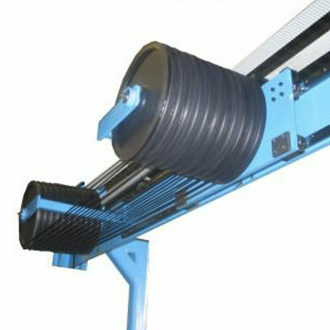 Tension is applied using a torque motor and belt system that is attached to the moving carriage. The tension can be varied depending on the cable requirements and weight and the tension can also be programmed into the line to automatically adjust based on the carriage position. For some applications, a belt wrap capstan is used to feed the accumulator and an additional belt wrap capstan is used to pull cable off the accumulator. This ensures that a low cable tension can be achieved on the take-up by isolating the tension on the accumulator. The vertical accumulators are designed in a variety of accumulation lengths and tensions. We use vertical accumulators for smaller product such as tight buffer or indoor cables. Sheave size and tension ranges vary depending on the application. The accumulators can also be integrated with the take-up to act as a dancer as well.